Let’s talk about buying new assets for your game. If you are working in small teams and you want to reduce the amount of time in some projects, one of the best ways to do it is to go to the Unity Asset Store and try to see if, for a reasonable price, there’s and solution for your problem. You can find a weapon system, a set of RPG characters, a A.I. system, or a complete framework that you’ll need to complete you game. 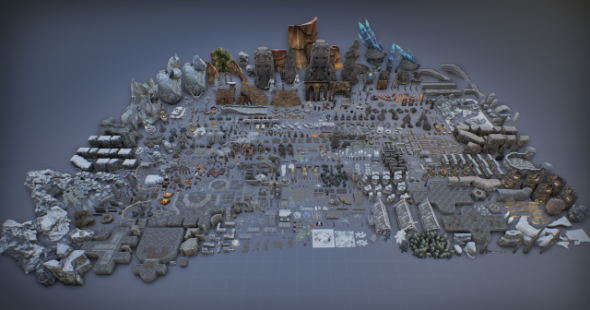 The Unity Asset Store is one of the best places where you can find a particular assets that’ll help you in your project. But, be carefull, not all the assets are made by professionals. I’ve already spent some quite amount of money in assets that didn’t do what they supposed to do. So, a good advice before you throw your money away (like I did) will be to read all the reviews for an asset. There’s others game developers that take their time, not only to test the assets, but to write some real extensives reviews. Another good aproach, that always helps, is to try to reach the creators of the assets and see if they have a free-to-try version. The real profressionals always have the Lite and the Proffesional version available in the Store. Don’t be affraid to ask them questions, sometimes you’ll need some more features for a particular assets, and the creators of the assets will be more than happy to help you. Especially if you buy assets that had a lot of source code in them. You can also show them you game and see if they can give you a piece of advice or help you with the promotion of your game. I hope that this can help you to speed up your creations.